We all use email in and out of the workplace and have our pet peeves about how it is used poorly. So, I was tempted to see what the rules of etiquette could teach us about this subject. But I realized that direct marketers have more to teach us about how email can help us get what we need done online. So, the following do’s and don’ts offer insight into the subject line and the email “insides” from a marketer’s perspective. Make the subject line short without sacrificing specificity. I know this is hard. As a marketer, I wrote emails with 5-to-8-word subject lines and online ads with 25-character first lines. …if you can help it. Sometimes, you just have to use the “Reply All” function to take ownership of action items or to correct dates, times or errors that would affect others. Remember that email messages are the electronic form of the memo or letter. That you can “Reply to All” with the electronic format does not mean you should. Sometimes, you just have to respond to individuals individually. Send a new message to just the ones you need to reach and attach this email to it. Consider calling or visiting others in person. Consider bringing content from the original message up to your part of the reply, so your comments are closer to your name in the “From” line. An email message to members of a networking site, such as LinkedIn, should link to a blog or posting that is what your subject line says it is. When readers click, they should see what they expected to see. Being brief and to the point without using linguistic shortcuts is possible and allows your reader to stay focused on the end goal. Emails are not text messages. Leave out the “ur”, “lol” and “OOTO”. Also skip the jargon, acronyms and other abbreviations that form insider-speak for only some of the readers of your message. “Directional writing” leads the reader to what marketers term the “call to action”. Use short sentences and paragraphs and lists. Sub-heads above paragraphs will lead readers to what you want them to do. Meeting notes, an article you found useful, requests for help – all have an innate “win-win” component. Ultimately, you will get what you want if your email readers get what they want out of it. What is email communication all about? It’s about accomplishing tasks in pursuit of goals. What I need to do doesn’t have to compete with your end goal – even if we work for competing companies or volunteer with different organizations. And if we both work for the same organization, our end goals should be aligned. So why is it that our email messages don’t get the job done and / or drive others crazy? Because we forget that email is not so much a project tool as it is an electronic form of communication. Effective communication requires mutually beneficial interaction. “Quid pro quo” is the way of the world. We work – and communicate – efficiently when we work together instead of at cross purposes. 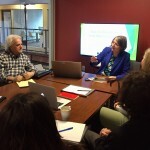 Sue Stoney has been a writer, editor and business writing coach, primarily in the San Francisco bay area, for more than 25 years. For more than 20 years, Sue Stoney has enjoyed developing content and writing copy for 3 high-tech companies and 1 financial services company, in the United States and overseas, to achieve business objectives. She loves collaborating with other subject matter experts to help them find their inner writer. 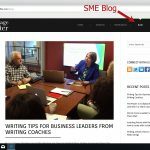 She now writes, edits and coaches others' writing in her own business as the Message Crafter. I’m glad to hear that you enjoyed reading this blog article. I do, indeed, plan to be more active with new posts on my site.